← Hey, job creators! How about getting to work? Thanks for coming by! Come back every Thursday for Humor Thursday and drop by Friday for Grammar Friday, a weekly quiz to help you brush up your grammar skills. 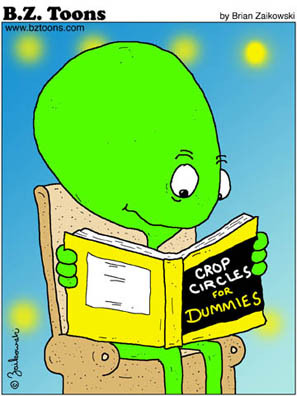 This entry was posted in Humor and tagged aliens, Brian Zaikowski, crop circles. Bookmark the permalink.